Insight, a diverse co-operative of experienced photographers, has a free exhibition of contemporary documentary photography at the Hoxton Arches Gallery, London, on 4-6 September, 2018. The focus is on the challenges of life in an age of inequality, fake news and social media. An example is John Farnhill’s work which is a fascinating study of the land on which key battles of the First World War were fought. It is late, late photography meaning that you are not looking at bomb craters or grave stones or physical signs of war but instead at the current landscape. The viewer learns of the events that took place in that exact space; often in stark, graphic terms. This year, of course, marks the centenary of the First World War. The photographers are all post graduate photography students from Portsmouth University. Visitors to the September exhibition are encouraged to come together to explore photography as a creative expression of our emotional responses to life. 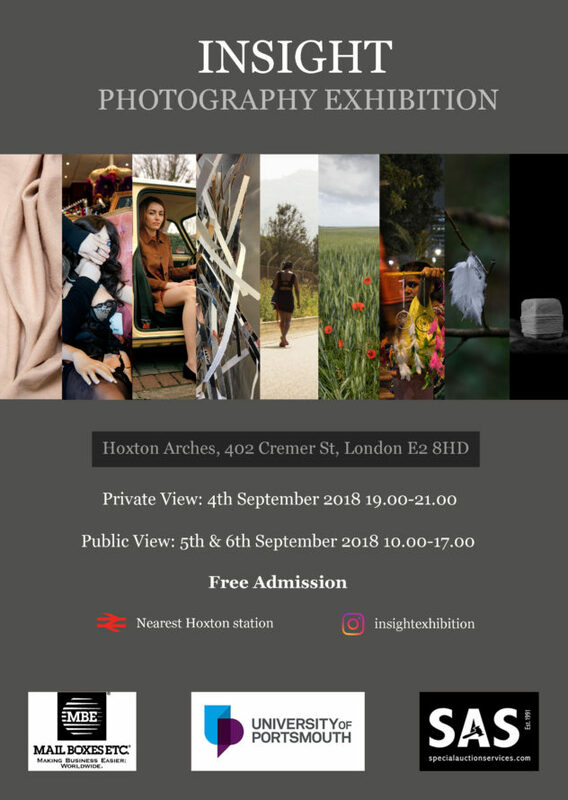 Private viewing is on Tuesday 4th September from 7.00 – 9.00pm and the exhibition is open to the public on 5 – 6 September from 10.00 – 5.00pm.